Workers may be anxious about losing their jobs in the onslaught of technological progress and globalisation, but tripartite collaborations on skills upgrading and strong social safety nets are key to meeting these concerns head-on. The point was made by Prime Minister Lee Hsien Loong in his keynote address yesterday at the opening dinner of the National Delegates Conference of the National Trades Union Congress (NTUC). Workers everywhere, he noted, are feeling the pressure from wage stagnation and the disappearance of older jobs as industries evolve and the workforce, especially more mature employees, struggles to keep up through training. "We have made Singapore a developed economy, but the truth is we have not solved for all time the problem of how to make a living for ourselves," he told about 1,100 union leaders at the dinner, which kicks off the three-day conference that starts today. 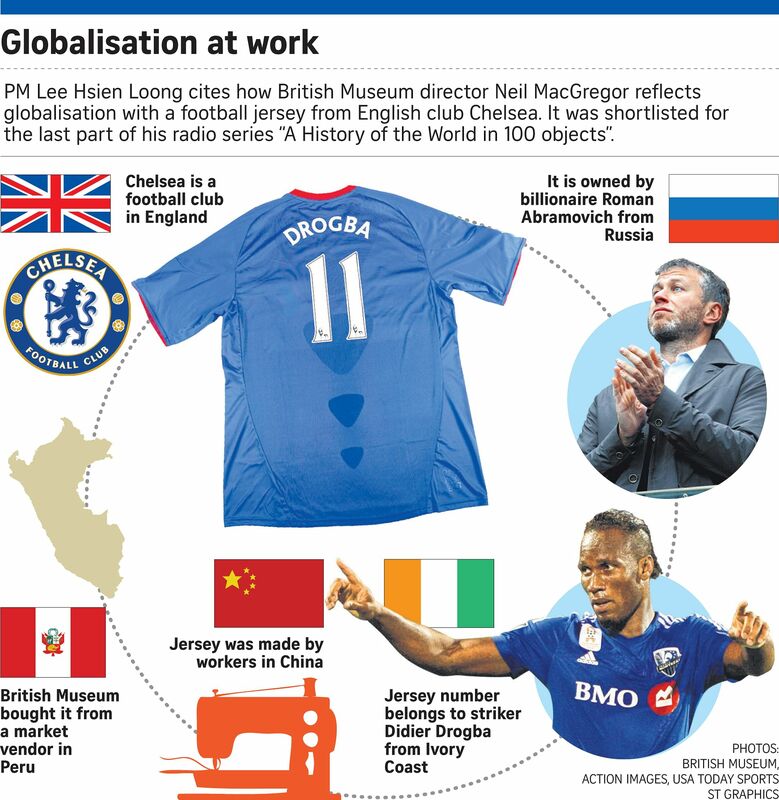 He warned that Singapore cannot resist globalisation, or hold back the progress of technology. "If we try to do that our economy will stagnate, our workers will become uncompetitive, and Singapore will be left behind." Although Singapore needs to leverage on the free market to move forward, the state also has a role to play - in preventing monopolies from forming, for instance, and helping those displaced or left behind by a market-based system, he said. "We've been strengthening our safety nets, giving our people better protection in a less stable economic environment," Mr Lee said. He cited measures like the Progressive Wage Model, aimed at helping low-income workers such as security guards and cleaners upgrade their skills and, in turn, lift their wages, and MediShield Life, which gives every citizen lifelong insurance protection for hospitalisation bills. The Government is reviewing its economic strategies to keep businesses and workers competitive, make the most use of the foreign workforce, and upgrade employees through initiatives like SkillsFuture. "If you compare ourselves with other countries, Singapore is well placed to tackle these problems. "We can look forward to our future with confidence, because we have people who are well-educated, because we have an ethos which is outward-looking, because we are a tech-savvy society," he added. Mr Lee also commended productivity measures like PSA's new automated gantry cranes which need only one supervisor to oversee three or four cranes - resulting in "more productivity, better jobs, better pay, better performance". Such advancements were possible because of tripartite collaboration, he said. "We can talk to the unions, we can retrain the crane operators, we can restructure the jobs. Not every country can do that. "In many countries, you want to restructure the job, you spend years negotiating, compensating, arguing - often sunk. But in Singapore, we work together. We work out the win-win solution... for all."